As I planned this epic 2 month adventure, it reminded me that I need to document all that happened on another backpacking trip I did with friends in end of 2012. It was overambitious, it was hectic, it was fun! We went to 12 European countries in 6 weeks. The funny thing is that we actually cut out some countries a few hours before we left Kenya because most of us only had single-entry Schengen visas - meaning if we left the Schengen area we would not be able to get back in. We bid a sad farewell to Romania, Bulgaria and Croatia. The countries that remained in our itinerary were as follows - Germany, Czech Republic, Austria, Hungary, Slovakia, Slovenia, Denmark, France, Spain, Switzerland, Italy and Netherlands. Obviously when planning such a trip - one thing is key - you have to go with the right people. I love all my friends and family, but I am sure there are some people I would throw off a cliff in Hungary if I had to spend 6 weeks traveling with. 6 weeks of intense travel, close living quarters and communal tasks can either bring out the best or the worst in people. I have to say that the team we had was perfect! For the sake of anonymity, I will give everyone in merry band of travelers a pseudonym. In total there was 6 of us. The first traveler, we will call "The Reluctant". The girl is reluctant at first, but when push comes to shove, she will get into the game. She is the type of girl who really wants to take that shot, but worries that she might get drunk and act silly. Thankfully by the end of the trip "The Reluctant" was cured of such worries that polite society places on us. The second traveler we will refer to as "The BARacuda". This name suits her best given her ability to always find the best bar wherever we were. She would sniff a bit, lick her finger and stick it out in the air and say "There! That basement. I can tell there is a fun club there." Her formula worked everywhere including in a random street in Bratislava, different parts of Budapest, quieter streets of Munich. This girl has a club radar! The third member of our merry band will henceforth be known as "The Little Toe." My cousin always tells us this story of how you are walking, and all your toes are apparently meant to be attentive to what the plan is - just keep moving forward - follow the rest of the toes. Somehow your little toe always goes against this plan. It is as if someone says, "Hey! Hey! Little Toe! Look here! Turn round!" Little Toe turns round and the next thing you know, you are writhing in pain on the ground. Your little toe somehow hit the corner of the couch! The Little Toe in our group usually seems to be going in a different direction from where the rest of the toes are going. It is never her fault, but she always seems to be following instructions that the rest of the band has not heard about. Ok. Almost there. Now you know half of the people. The other three are myself (not really sure what my code name would be - The Frat Boy? The Bunjee Jumper?). Who knows? The other two people were "The Lady" and "The Safety Cord." The lady was the one person in our group we were never really sure would survive the backpacking trip. She was the person who wanted fresh croissants in Paris while the rest of us were content eating our bread and cheese on the train. She was the one who looked petrified every time we got to a hostel and she realized that "hostel" is not synonymous with "hotel." By the end of this trip, The Lady had undergone a transformation though. We would get into a train and she would be the first to say "Little Toe, hand me the bread! The Reluctant, pass me that salami! BARacuda, do you still have that plastic knife from the other day? Ok, gang! I am making us some sandwiches!" The last member of the group was "The Safety Cord." If it wasn't for The Safety Cord, we would most likely still be in Europe - lost in some remote town or in a club where time would stand still, and we would only notice one day when we looked into a pool of murky water on the ground and saw the grey hairs on our heads. The Safety Cord is amazingly fun but always rational (at least almost always:-). She lets you go bunjee jumping, but ensures you don't end up hitting the ground. She is the voice of reason that would say, "I know you are having fun. Yes, yes, I know you think he looks like Eric Northman. In reality, he is a troll. He is saying him and his friends will make sure we get home after the club, but have you realized they can't even stand upright? They don't even have shoes on! It is time to go home! We have an early morning train." Despite our protestations, we always had her to thank many a headachy morning. Together with these lovely band of crazies, we went to take over Europe! 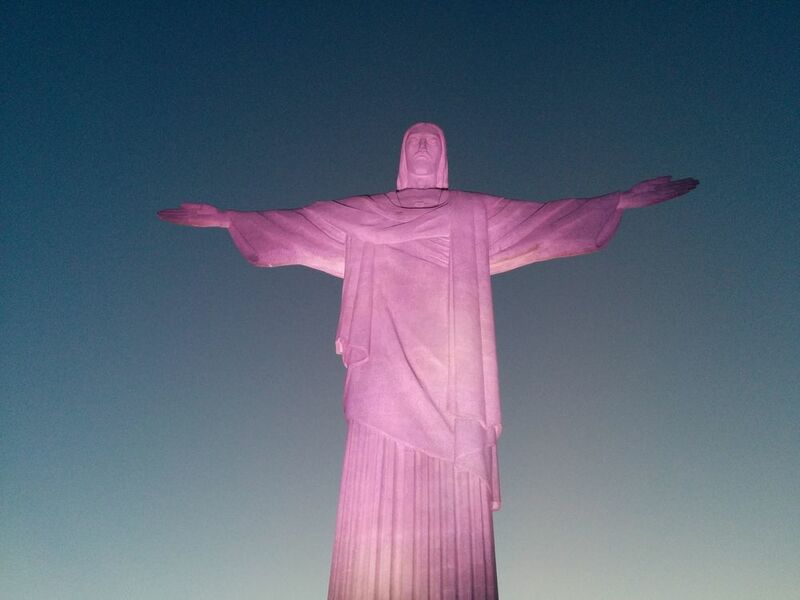 I had only one main plan yesterday - to get to the Iconic Rio monument of Christ - Cristo Redentor (Christ the Redeemer). Most people have seen this monument when watching football games based in Rio, watching documentaries, Brazilian movies and soaps etc. 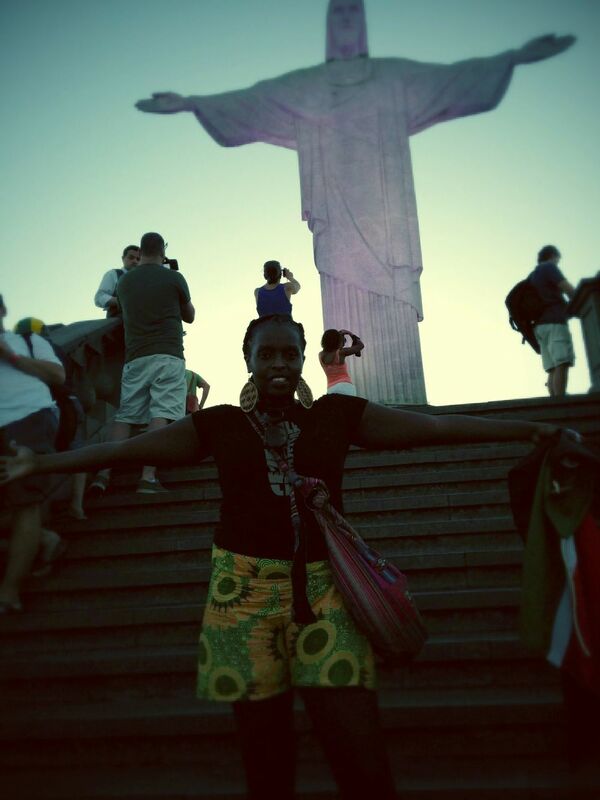 You see Cristo Redentor and you know it is Rio. Kind of the same way you see the Taj Mahal and you know it's India. 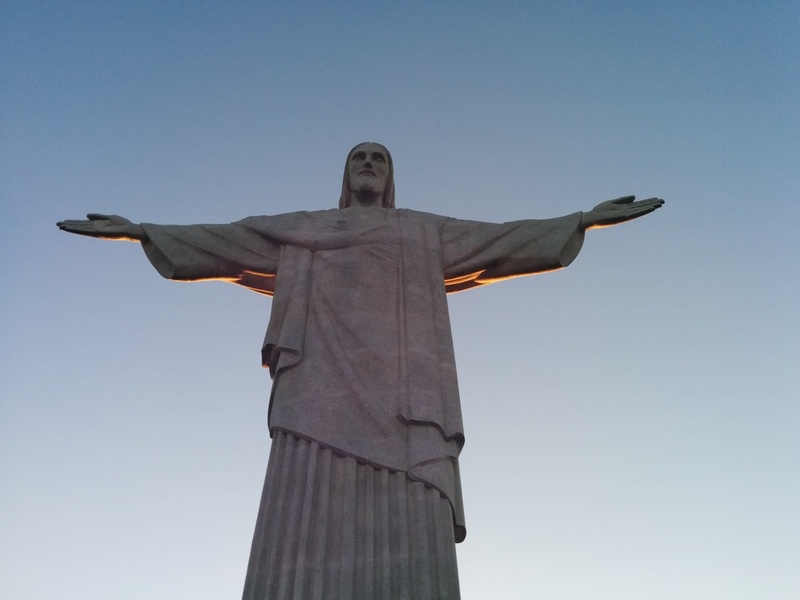 Cristo Redentor is the world's largest art deco statue and was completed in 1931 after 9 years of construction. Funding for it was mostly obtained from the local Catholic community. There had been plans to build some sort of monument on Mt. Corcovado from as early as the 1850s and requests had been made at the time to Princess Isabel of Brazil (known as Isabel the redemptress for signing the Golden law in 1888 that abolished slavery in Brazil), but none had been fruitful. Finally in 1931, Rio got the monument it had long wished for on the peak of Mt. Corcovado. Cristo Redentor is primarily built of reinforced concrete inside and soapstone on the outside (I see all the Kisiis here thinking about building their own statue:-) I was not quite sure what the easiest way to get there was. 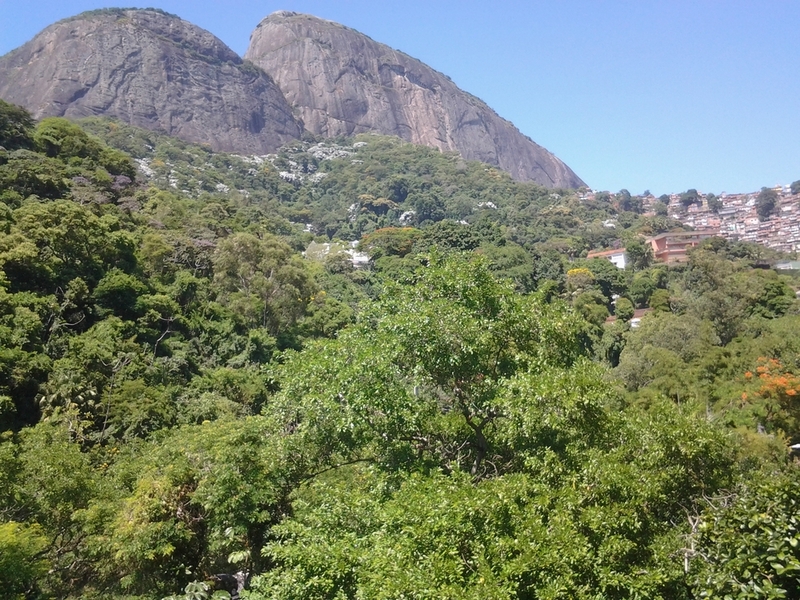 I spent some time googling it and I found a bus that left from close to my apartment in Gavea, and took me to Largo Do Machado. From there it seemed I would be able to buy a $20 ticket from the base of Mt. Corcovado, and then take a train straight up to Cristo Redentor. With my limited (non-existent) Portuguese and unlimited hand symbols, I asked the conductor to let me know when we got to Largo Do Machado. A sweet old lady came and sat next to me on the bus and said "something.....something....photo." I thought she was asking me to take a photo of her, but instead she took out her phone and took a photo of me - then put her phone away. Quite similar to Kenya, a guy got on the bus and started selling sweets, biscuits and chewing gum. He was speaking in Portuguese and started giving out candy. I couldn't tell it it was free samples or some Hare Krishnaesque type of trade (now that I gave you that flower which you stupidly thought was a gift, give me money!) I chose to error on the side of caution and declined the candy offer. But candy would not let me be. The kind old lady who had taken my picture, opened her handbag, took out some candy and gave it to me. I need to confess that I am generally very trusting. During this trip I have promised to put on my skeptic hat to make sure I don't end up in any tricky situations. My first thought was "aaaah. Sweet lady giving me candy. Such hospitable people, these Brazilians." My second thought was, "Do you remember that documentary you watched with your cousin? The one about the South American drug that takes away free will? The one you find yourself taking someone to the ATM and withdrawing all your money? Then taking them to your house and helping them pack your stuff? Why did she take your picture? Is it part of some identification process? Yes, this is the one I drugged on the bus to Largo Do Machado. We will call her "number 4."